Plush recliner seats, food delivered hot and fresh while you’re watching a movie of your choice and your favourite wine to sip along – it may sound like the dream unwinding session, but now it’s all available in the city. Whether you’re looking to upgrade your regular Netflix session with bae or just want to chill with your closest friends without the stress of a house gathering, PVR Director’s Cut is the place to be. Wondering what’s on offer? Keep reading to know more. Want to watch your favourite movie on the big screen? We get it! Rewatch a classic or your all-time comfort movie in the indulgent ambience of The Audi at PVR Director’s Cut. With an on-demand form for movies, simply sign up and fill in your request and they’ll get in touch with you with details. Trust us, with their super comfortable reclining seats, you’ll be tempted to curl up with the blanket and take a nap post the movie. Even better? They have an extensive popcorn bar which offers exotic varieties and includes a gourmet dessert counter with a range of delicious ice creams by Minus 30. Honestly, there’s nothing quite as soothing as the combination of jazz and wine. 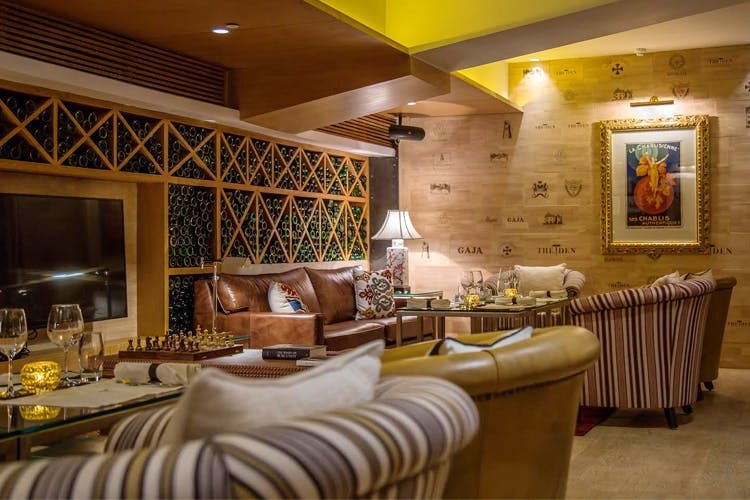 The good folks at PVR Director’s Cut understand and indulge that dream at The Den, which hosts popular music artistes every Saturday for jazz nights. With a comprehensive wine menu that includes the finest selection from across the world, you’ll be spoilt for choice. Sip on your favourite wine while the performances entertain you. This will definitely light up your weekend, so stay updated with their upcoming gigs and make it an evening to remember. Head to PVR Director’s Cut to fulfil familiar cravings of good food, nice wine, entertaining movies and more. Check their website for more information and keep track of upcoming events by following them on Facebook, Twitter and Instagram.